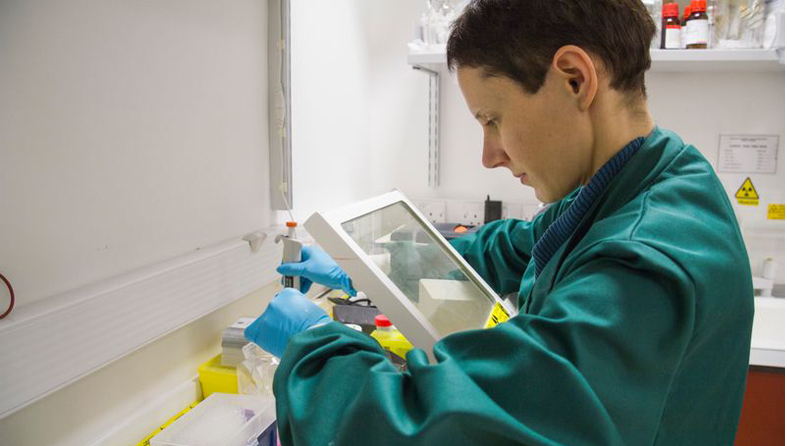 Our scientists have made vital contributions to finding new and better ways to treat, diagnose and prevent cervical cancer. Below are a few of our most important discoveries. 1991 – We carry out pioneering studies on vaccines for papilloma viruses in livestock, setting the stage for the development of HPV vaccines that today help protect women from being infected with types of the virus that can cause cervical cancer. The HPV vaccination programme could cut the number of cases of cervical cancer and prevent thousands of deaths. 1999 – Our scientists show that HPV causes the vast majority of cervical cancers worldwide, overturning previous studies that had underestimated the link. 1956 – We carry out some of the earliest studies of cervical screening in the UK, and our researchers play a central role in setting the agenda for an organised national cervical cancer screening programme. 2000 – We fund researchers who put together the evidence showing the cervical cancer screening programme can be improved by testing for certain types of HPV as well as traditional cytology, identifying women at higher risk of developing cervical cancer. 2013 – Our studies show that changing the order of tests (cytology and HPV testing) carried out on cervical samples means the screening programme could save even more lives every year. This change is now being introduced across the UK. 1923 – We support some of the earliest research into the treatment of cancer with radiation, including awarding our first grants for the purchase of radium to treat cervical cancer.